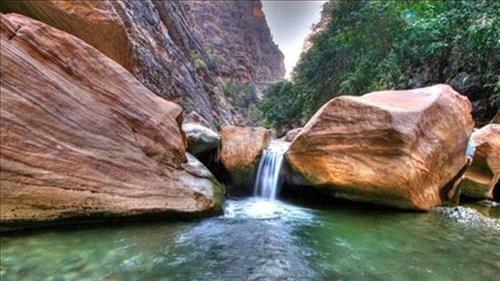 AMMONNEWS - The project, NEOM, which is a Saudi led tourism project on a land mass that will extend across the Egyptian and Jordanian borders, rendering NEOM the first private zone to span three countries, hosts what some may call a little gem called the al-Desah valley. The valley boasts an abundance of waterfalls, mountains and greenery which tourists will definitely enjoy. NEOM is a planned 10,230-square-mile transnational city and economic zone to be constructed in Tabuk, Saudi Arabia close to the border region of Saudi Arabia and Egypt. The project will be backed by more than $500 billion over the coming years by Saudi Arabia.